Three Graces are the brilliant three fairy chimneys located on Urgüp, district of Nevsehir. It is the most famous natural beauty and symbol of Urgüp. 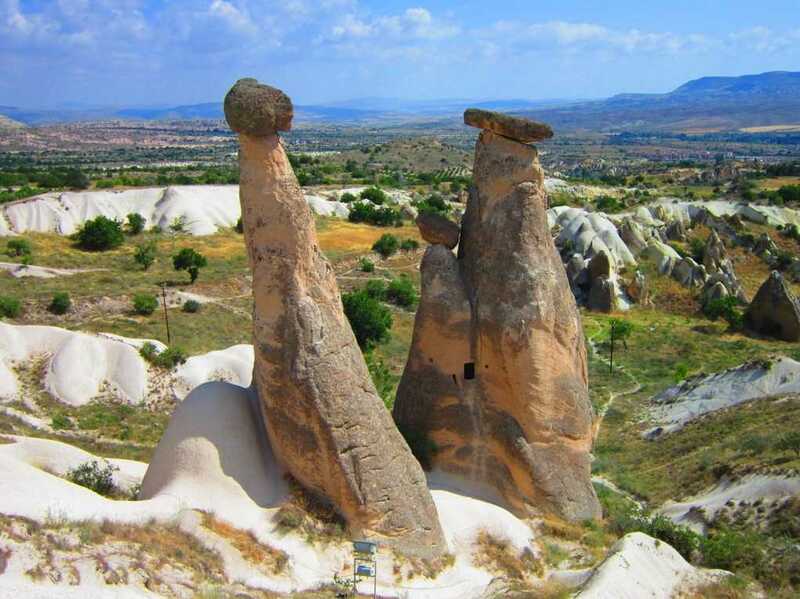 This amazing natural formation is well known not only its enchanting landscape but also its incredible story. Therefore, today many tourist coming from different countries visit here. When the tourists visit Urgüp, those unique fairy chimneys named Three Beauties grabs and fascinates them. Thus, they wander its mystic history. According to a legend, once upon a time, in Kingdom Period, there was a king and his daughter, princess living peacefully together here. After he lost his wife, the king began to be addicted his only daughter. Also he worried about her due to the fact that she was very beautiful and charming. Therefore, all men in country wanted to be married her. But princess fell in love with a shepherd. The king disapproved that marriage because of that he decided his darling princess to be married with authorized man. However, she escaped from the palace and got secretly married with this shepherd. After years, she give birth a baby. Then she thought that maybe his father forgive them thanks to their child and set off to the palace. The king did not mercy although they had a child. He ordered these soldiers to kill this family. 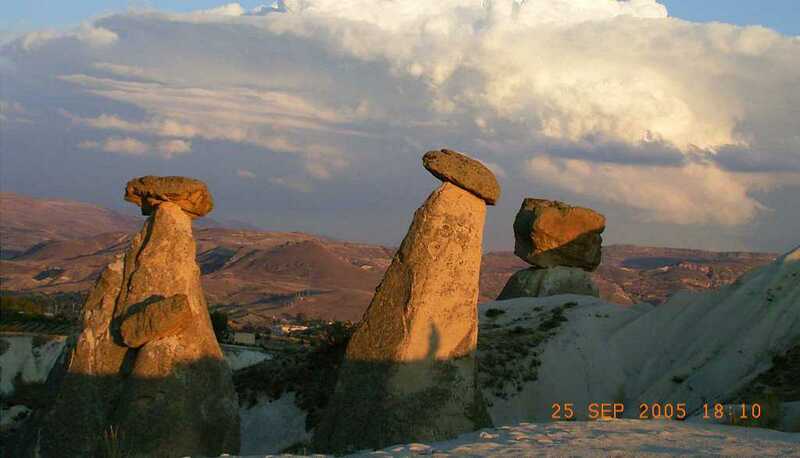 When the princess run away those soldiers of the king, she prayed to the God: “please, my God, make us either a stone or a bird.” The God accepted their prayer and they immediately convert into a stone (today’s fairy chimney called Three Graces). 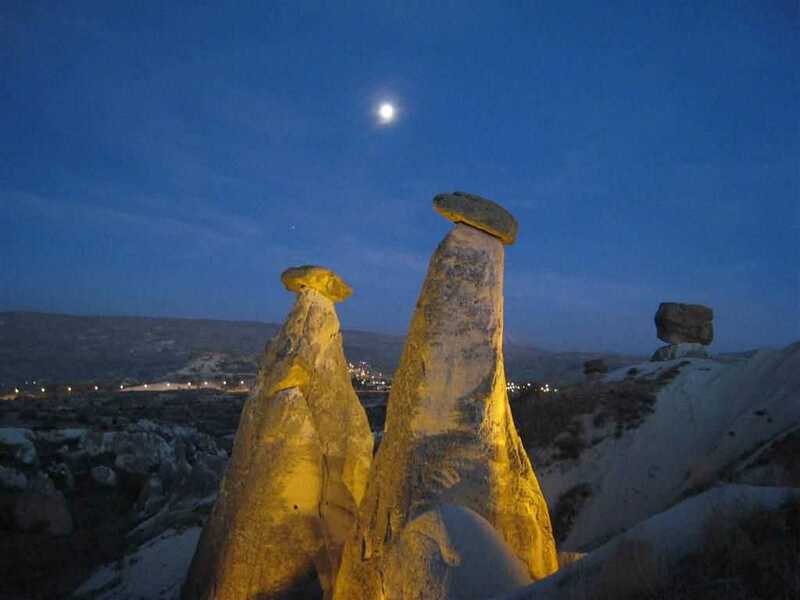 So, these three fairy chimneys (Üç Güzeller) symbolizes as the princess, her husband and her child.